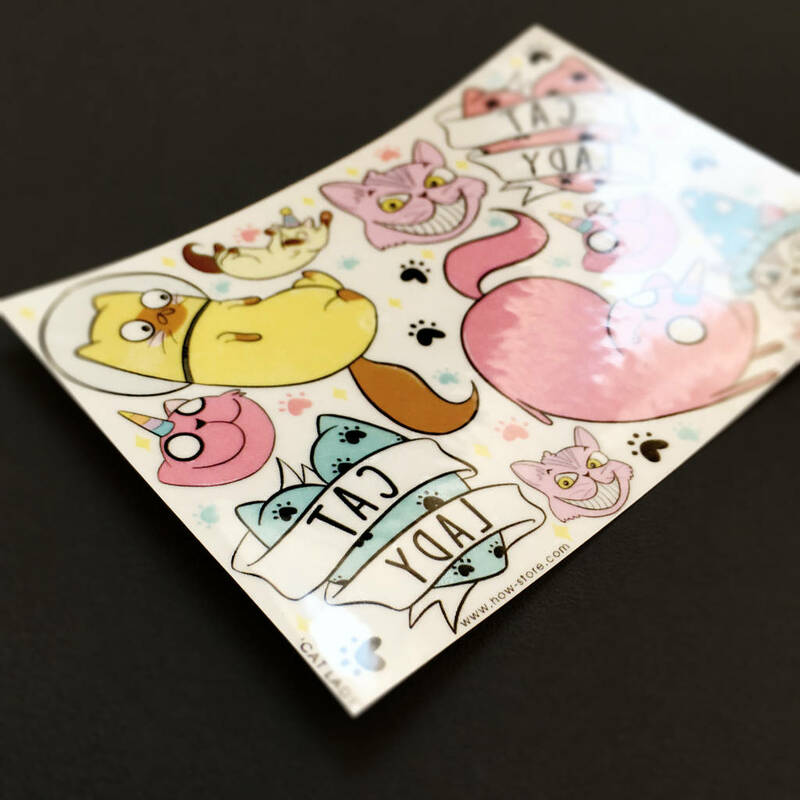 A sheet of illustrated tattoo cat themed temporary tattoos. Professionally printed in the United Kingdom and coloured in pastel tones. 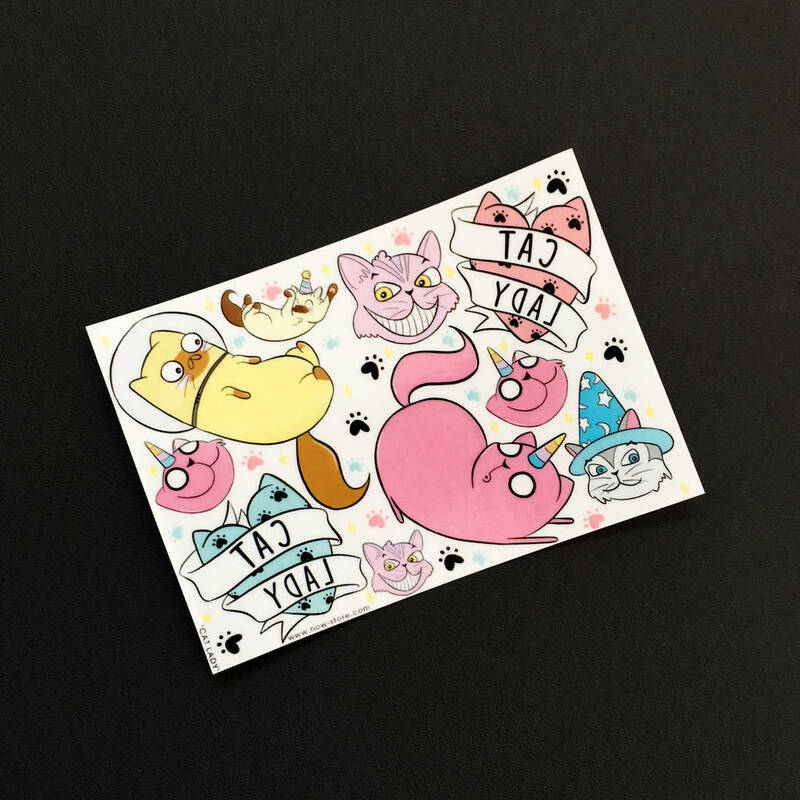 This listing is for one sheet of our cat lady temporary tattoos. Each sheet measures around 9cm x 6cm in size and features our hand illustrated designs. 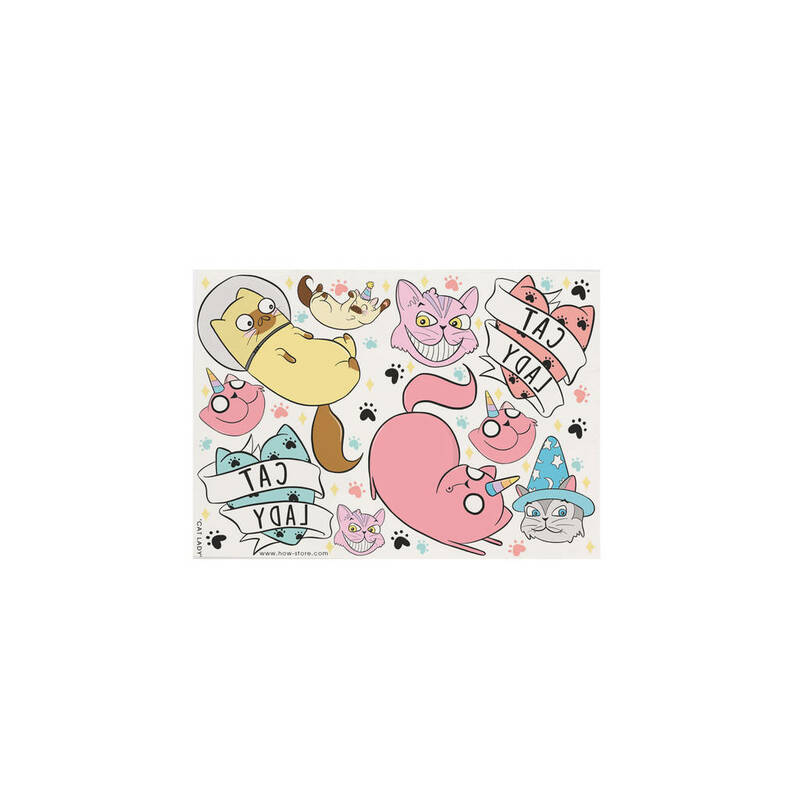 This sheet contains 10 cat themed designs (the largest being around 4x3cm in size), these are great for your wrists or hands. There are also 19 colourful paw prints in 3 different shades. 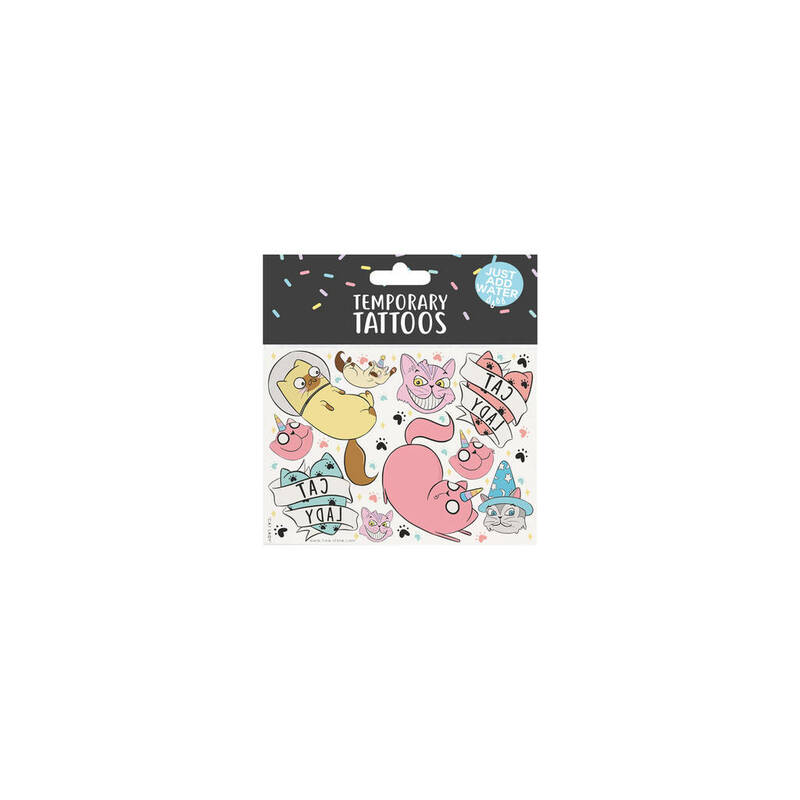 We have also included 19 mini stars which can be used anywhere. Perhaps on your cheek, lips or shoulders? 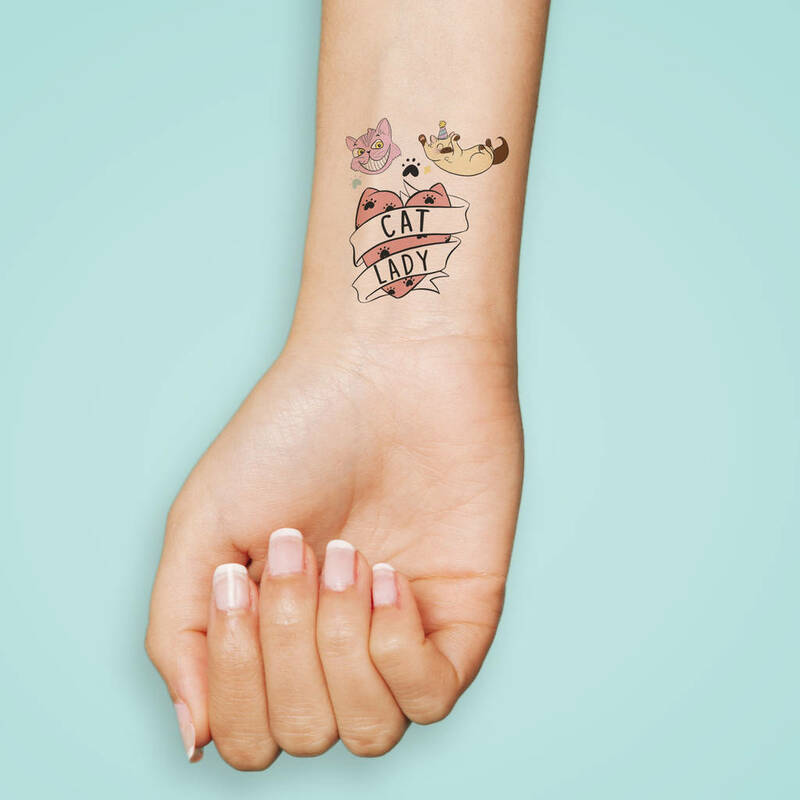 These temporary tattoos are perfect for any cat lover. 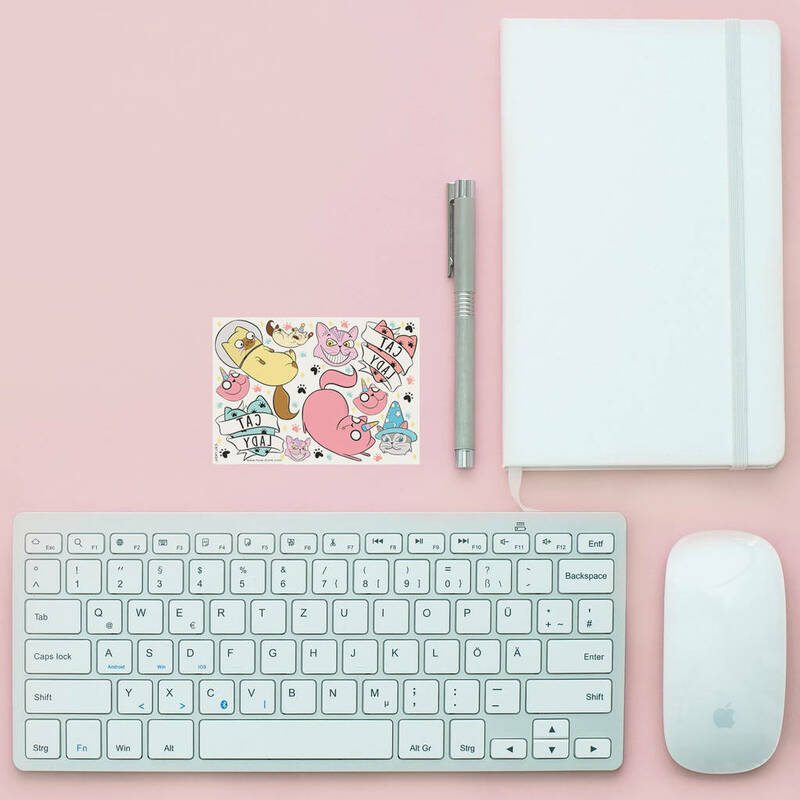 Each sheet arrives presented on a HOW recycled card inside a cellphone packet and comes packaged in a trusty guardian bubble envelope or protected in our HOW mailing boxes. 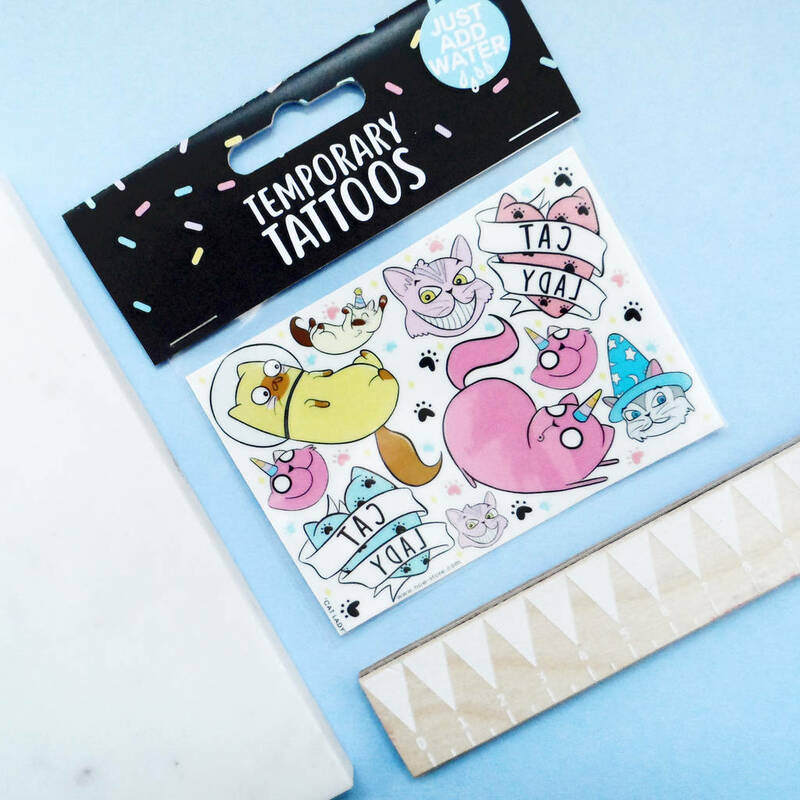 Our tattoos come with full application instructions which can be found on the packaging.